One of the most fascinating aspects of historical chronicles is not only the way they intertwine with the history of the area wherein they take place, but the bigger picture that is reflective of larger, nation-wide trends. One such example pertains to small pond situated in Wayland, Massachusetts. 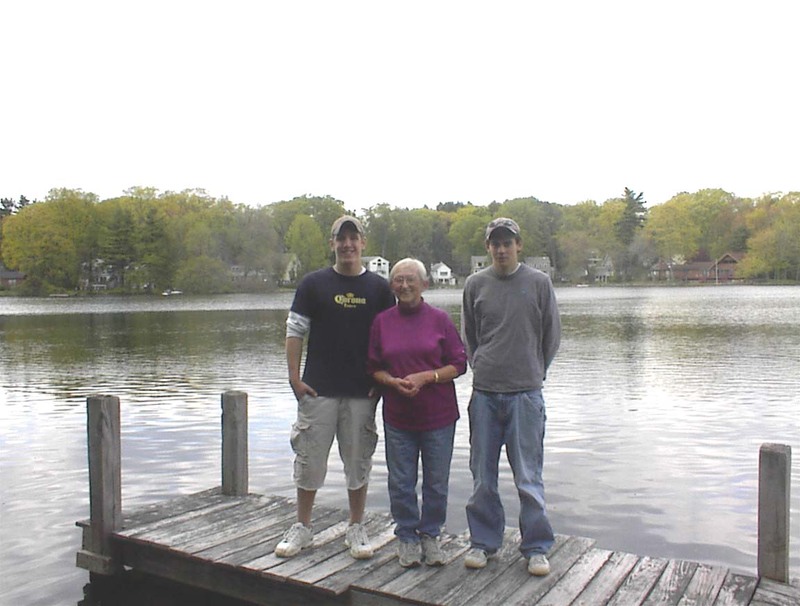 Dudley Pond is home to many of the luckiest families in Wayland--people who have had the privilege of living in an area that has evolved with memories of laughter, love, adventure, and tranquility. 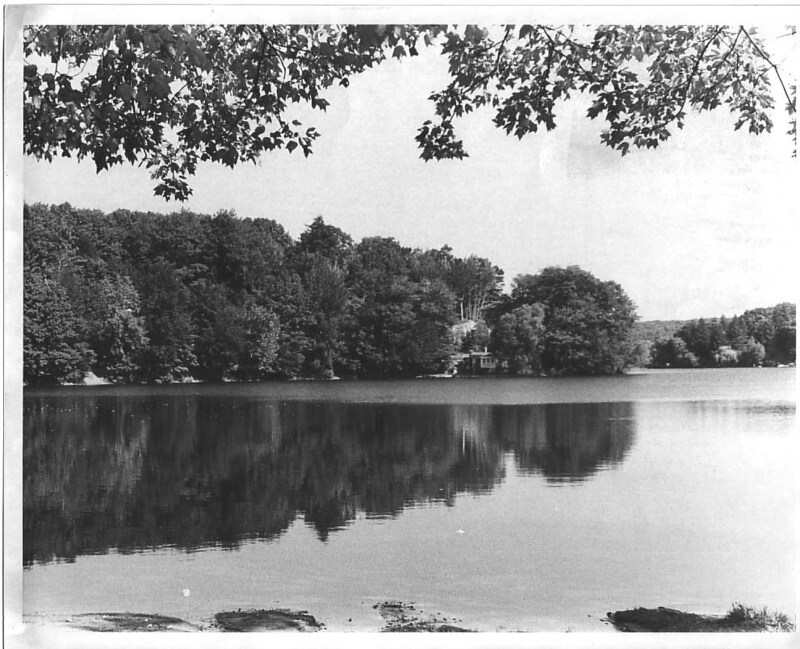 Originally called Johnson's Pond, Dudley Pond is a designated "Great Pond" that covers roughly 84 acres. Once used as an area designated solely for the purpose of summer homes, Dudley has provided a place for swimmers, canoers, sailors, kayakers, rowers, fishers, and anyone who enjoys the serenity and seclusion of life on a pond. The first major establishment on the pond was constructed in 1882-1883. Owned by Michael Simpson, the Simpson Estate was built on the southwest corner of the pond. This establishment eventually became known as the Mansion Inn, a place used for parties and dances, which would remain one of the major attractions of the pond until it burned to the ground in May 1956. Between 1900-1918, the pond grew more rapidly than ever before. More and more people saw the pond as an attractive place to build summer homes. Families from Boston, Newton, Brookline and many other surrounding towns came to the pond to spend their summer days. People such as Ted Williams and Vaughn Monroe enjoyed their summers on the pond as well. The water was warm and the fishing was great, making it the perfect area to spend a vacation. Unfortunately, "the period of prohibition in the 1930s initiated a cycle of decline for what was once a quiet, rural, pristine summer resort area." As prohibition and the Great Depression hit America, Dudley Pond became a place for bootlegging gangsters. Some cottages were transformed into brothels, and gunfire could be heard echoing around the pond every so often. "This caused great consternation with local residents, prompting them to forbid their children to go into the area." It is said that places like the Mansion Inn and the Chateau became speakeasies, and residents lost faith in the pond's reputation as a safe neighborhood. Another consequence of the Depression was that the pond became overcrowded and polluted. When the Depression gained momentum, people that had once used their cottages as only summer homes, sold their bigger houses where they used to spend most of the year, and began living at the pond year round. However, because the vast majority of these cottages were constructed only for summer days of warm weather, residents used whatever they could to improve their living spaces to accommodate the New England winters. "There were no formalized health regulations. Septic systems typically consisted of dry wells made by burying 55-gallon drums in the yard. These crude systems often overflowed. Some owners simply built outhouses and allowed sinks to drain into dry wells outside." The people who lived on the pond were often destitute, and the pleasant atmosphere slowly diminished as the depression dragged on. Once the Great Depression ended, Dudley Pond regained a more normal life. More people used the pond as a recreational facility than ever before. Summer camps were started, the Dudley Pond Winter Carnival took place annually, and life for the residents was great. Horse races were even held in the winter when the ice was thickest. 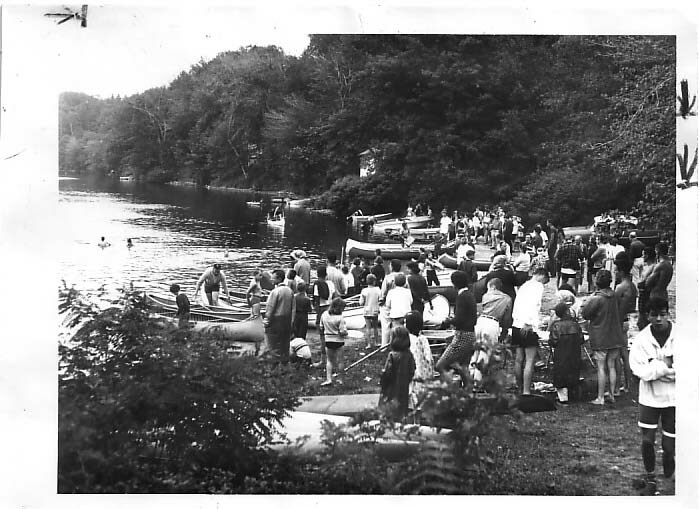 Children from all over town and the surrounding areas would come to the pond to swim or boat, and parents would drop their children off to spend their summer days learning how to do every imaginable activity one may do on a pond. The Chateau even rented out canoes for couples and families to enjoy. However, not all of the troubles of the Depression were eliminated. The pond now was faced with a problem that would create the most heated dilemma its residents had ever experienced. During the Depression, the houses around the pond had become more crowded and less fit to inhabit. Houses were hanging over the edges of the shore, almost into the pond itself, and some septic systems were leaking all around the pond. This new problem aroused much concern throughout the town, so in the fifties and sixties, the town took action. The town felt that the overcrowding and contamination of the pond area was in need of some major changes--an attitude that was gaining attention throughout the entire nation, especially in Boston. In Boston during the 1950s, the city experienced another economic depression, and working class families earned very little income. The effects of this new depression were especially felt in Boston's West End. The West End was a residential area, with inhabitants from many cultures. The tough economy had lingered since the 1920s, and the buildings in the West End reflected the economic situation of the time. Many people regarded these buildings as an "eyesore." They saw them as a "slum" that needed to be renovated. The proposed solution was urban renewal, and the city decided to support this idea. They seized the property of hundreds of people, justifying their actions by the eminent domain clause of the 5th amendment. 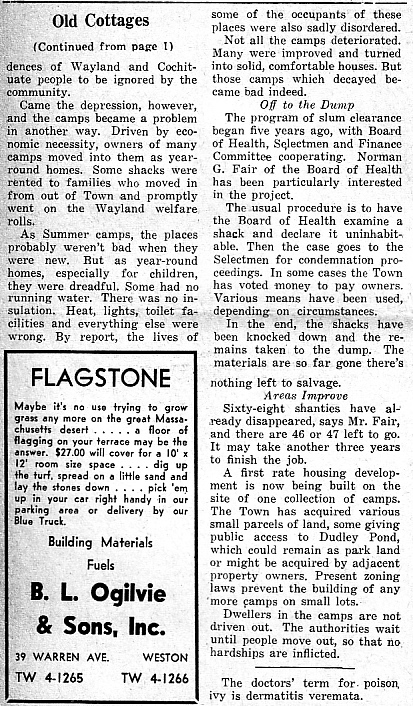 The hundreds of working class people who were displaced were supposed to be relocated in adequate housing. This did not happen to the extent that it should have, and these residents were angry at their eviction. They viewed their neighborhood as a "closely knit, supportive community." However, this did not stop the urban renewal from proceeding. In 1959, the area was cleared with bulldozers. In place of this tight knit residential neighborhood a state service center complex was created, along with several high-class apartment buildings. Around the same time that the idea of urban renewal emerged in Boston, something similar was occurring on Dudley Pond in the small town of Wayland. There had been growing concern about the quality of houses on Dudley Pond. The lot sizes on the pond were as small as 7,000 square feet. As stated above, originally urban residents had used these lots mostly as summer camps, but during the depression in Boston people began to sell their city residences and move to the pond. These properties were not able to support full-time residents. This raised concerns about another issue that was related to the quality of housing: the quality of water in Dudley Pond. Then in 1953 there were two cases of paratyphoid, which brought the town's concern to a new height. The town applied to the Urban Renewal Authority for assistance. They received a $410,000 grant to "begin survey and planning activities for its first urban renewal project." To secure the grant, they had to show that 50% of the properties were "unfit for human habitation". Over the next three years, the board of health, along with a variety of other town officials, evaluated the situation. They found that around 265 of the houses were unfit to inhabit. Many of the houses were in severe disrepair; some were draining their septic systems into the Pond. They developed a plan to rejuvenate the Pond by acquiring all the properties around the Pond, and then creating plots that were larger and able to accommodate nicer houses and support septic systems. As in Boston, the idea that the government was going to evict residents and take over their land was met with strong opposition. People thought that it was their property and it was their job to improve it. They also resented the fact that people viewed their neighborhoods as "slums." Several residents filed lawsuits against the town, but what happened in Boston was "not what happened here", according to Mrs. Wilson, a longtime Wayland resident and a member of the board of health during urban renewal. To show their distaste with urban renewal, pond residents organized a petition and secured the signatures of half of Wayland's residents. Eventually the town put the issue to a vote before the Wayland Redevelopment Authority. They chose to vastly reduce the scale of the urban renewal. The town promised that the project would be "a slower, small-scale program of incremental improvements". The town then had to return the federal grant. After the massive scale down of the urban renewal project, the town did acquire some properties and build new more habitable houses on them. In most cases, these properties were in severe disrepair or carried with them substantial tax debt. In some instances, the properties had been abandoned and the town simply took control of them. In these cases, there was little protest from the town. Very rarely were properties seized that supported a full-time resident, unlike in Boston, where they seized and demolished many houses supporting full-time residents. Many of the properties that might have been targeted were left alone because the owners came forward with plans to improve their land and houses. It was also found that much of the pollution in the pond was being caused by the poor drainage systems in the roads. Ironically, the town did very little about the roads and continued to focus on the properties around the pond. Eventually, people began to improve their land and the issue dissipated. After a while, conditions around the pond began to improve. The quality of the water became better, the houses on the pond were renovated, and the area as a whole became a better and safer place to live. 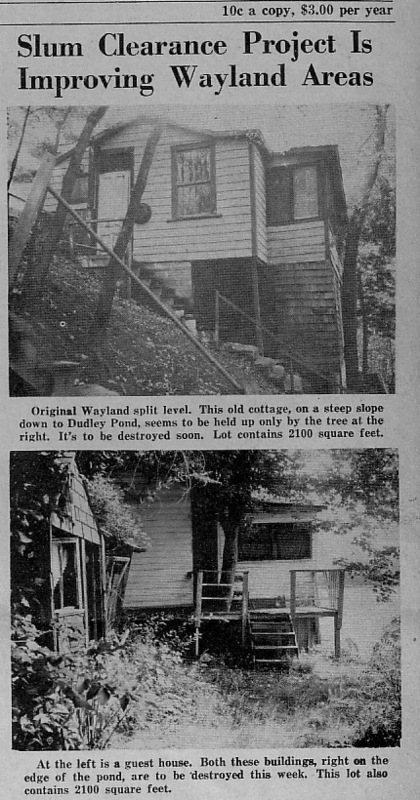 Finally in 1963, the Citizens Advisory Committee released its report, which stated urban renewal no longer needed to take place in Wayland. Over the years Dudley Pond has been shaped by many factors. It has gone through good times and bad and has struggled through dilemmas that were present throughout the entire nation. The area around the pond has gone from being the center of social activity in the town, to being the object of town conflicts. Today, the pond has become a stable family community, in which many families live happily and contentedly. Q: How long have you lived in Wayland? Q: What years did you serve on the board of health? Q: What was your job on the board of health? Well, it was a three-member board, it's now five. We did not have a hired engineer, though we did hire one part time while I was on the board. That was the first big thing we did. We were in charge of garbage collection, which the town sold to a piggery. We were in charge of the general public health. This included school nurses, septic systems, all the things that go into water testing. The state laws govern what we did but we operated independently from the state in how we did things. We had different standards. But a lot of things hadn't been legislated by the state at the time. There was a time there in 1954 when the state mandated that neighboring towns had to combine their health services. We were going to be legislated into a joint health department with Sudbury, Weston, Wayland, and part Wellesley. This did not go through because by the time we had to do it the laws changed. They realized that it was forcing towns into situations that they might be compatible with the other towns. Then we had to take a good look at ourselves and we began to realize that there were a lot of problems. There were things that we could be doing and things that we should be doing. So again it was a period of growth, the town was going through fast. It's hard to say what did I do, I was one of three people who decided what rules and regulations the town followed. Q: What affiliation did you have with Dudley pond? Way back before this, in the 1920's people from Brookline, Newton, even maybe Boston came out to the country. They bought land around the pond and built little camps. They were like little summer camps. They had outhouses and a little non-insulated building. They would usually bathe and cook outdoors. Many families would come out and do this. Then during the Depression years (1929-1930s) families didn't have the money to do that. They didn't pay the taxes on the land. It wasn't of interest to them so they moved away. So these people came down and lived in these shacks. These people didn't own the land but they had no other homes. The times were really tough, it was a nation wide depression, and it wasn't just here. Then our town was faced with what are we going to do with this? People had been pretty much allowed to stay, if they had lived in their long enough and if they had made some additions. But then in 1953 there were two cases of paratyphoid that were linked to the water in the pond. So that's when we got the sanitary engineer and went around to check the all the properties. We then declared unfit for living certain areas. Many times the town really owned by then because the taxes hadnt been paid. So some shacks were demolished and some were renovated. And the zoning came into effect, so anyone who was going to rebuild had to have more land size. So they put adjacent lots together and pieced them together so it looks like it does now. Were Bayfield road is there was something called the Ringer Camps. They were little shacks all in a row which could be rented by the day, by the week, or by the month. Q: Were they right on the pond? They were on the side of the road that touches the pond. Mrs. Ringer who owned the camps was an absentee landowner: she was never there. There were no water connections, except an above ground pipe from one shack to another. So you had to keep the water running in the houses all winter. This meant that the houses were getting very damp and really uninhabitable by any modern standards. So, we shut them down. That was one major thing. Q: So you advocated for urban renewal on the pond? Well yes, me along with the board of health. To start the process the town voted. And grants from federal funds were able to oversee the reconstruction and relaying out of the areas around the pond. Q: Was urban renewal taking place all over the pond or just in specific pockets? You had to have an area to qualify. There was an overlay plan that covered almost all of the area around the pond. There were probably two or three places that were above standard, which were left alone. But the general area of the pond was qualified for federal grants to help cover the cost of this. Q: Were there specific areas around the pond that the condition of property was good? Some people had been paying their taxes and been living properly with good septic systems. It was just the ones who were living improperly. They were actually emptying their waster water directly into the pond. Those were the ones who we closed down first. Many of these people didn't have enough land for a septic system. So adjacent lots were put together. That's really what the redevelopment people did. They tried to designate places that could make a suitable building lot and then our engineer would check its septic system. Then a house would be built on the lot. Q: What percent of houses around the pond needed to have some type of renovation? Probably around a quarter of them, plus the Ringer camps, no more than that. Some of the things happened gradually over time. If a person came in with plans to reconstruct and fix their place up then they weren't torn down. It was the ones with absentee owners and tax debts that were torn down. Q: What were the owners reactions? It was such vague ownership. Although there were some lawsuits none of them found in the owner's favor because none of them were paying their taxes and the properties were in bad condition. It was pretty clear cut, it was pretty easy to see, by just glancing which places were habitable and which weren't. There was some protest, but it wasn't town-wide. It was just a few people. Q: Did the government ever actually take over properties? That only happened when the town owned the land. In some cases they could also never really find the original owner. There was no way to trace the ownership, so in these cases the town absorbed the properties. That happened because there was nobody protesting they couldn't find anybody. Some people were also glad to get the properties off their books. Q: Once people began to improve their properties how quickly did the pollution in the pond cleanup? Well we never had any other cases of typhoid that we know about. Also most of the pollution was due to the roads. There was a lot of discussion about widening and improving the roads. That was sort of abandoned because people really didn't want paved roads. It was easy to see why. It gave the area a certain charm. All of Lake View road was unpaved. The town had not been very diligent about paving. The highway department didnt even recognize these as roads. There was a lot of legal stuff that went on. That may have been very confusing for people who lived there. Q: What part of the pond had properties in the worst condition? The problem was around places with level land, where the draining was directly into the pond. The Bayfield Road area was a particularly bad scene, no one would have objected to having that go. The removal of that didn't seem to cause any type of obstructionist attitude. Q: How similar was this issue to the urban renewal in Boston? Well, the idea for trying to set up a redevelopment came from the people who lived here and worked in Boston. They then went and found out how to go about doing this. The town council worked on it, as well as the planning board. They set up guidelines to set it up. But it was and early attempt for rural areas to use something called redevelopment. But it was a nice small example of why the law was written in the first place. It is an easy comparison between the two redevelopments. However, Wayland people moving in rarely even knew the pond existed. So, they never saw the bad properties. In the city (Boston) people were aware of these things. They were eye sores. Of course in the city too there were people living in these buildings. Whereas most of the stuff we took down people weren't actually living in the buildings full time. Whereas people in the city lived there full time and had lived there all their lives and weren't going to get moved out. There'd always be a picture in the newspaper of a little old lady in a wheelchair getting evicted, but that was not what happened here. But it was like a miniature undertaking in comparison to what they were doing in the city. But it was the same guidelines. The idea behind redevelopment is that in the end it helps everybody. Even if it might not seem so to the person involved at the time. In general, everybody's property values increase. That's the understanding behind redevelopment, that by making it over you make it better. But it doesn't always work that way. Q: Do you know anything about the social events on the pond? The Chateau was a fun thing. But it didn't carry the reputation of a speak easy, like the Mansion Inn. I always thought of it as a fun place. It was open and friendly and people all sort of knew each other. Q: Do you have anything else you would like to share? Well there's nothing else really, except you look at the pond now and see that its a desirable place to live. There are nice looking lots and nice looking houses. The streets are taken care of, you don't worry about diseases. All of these things are a benefit to the entire community. We moved here, it was snowy and cold and it was the middle of the winter in February of 1954. The reason we got this house was because Guy had coached a man who swam, he was a cerebral palsy Guy that got into sports, and was swimming the English Channel, and he used to practice at the Boys Clubs where Guy was a coach and he knew we were looking for a house and his mother was the real-estate agent and she knew that we liked the water and thats how we ended up here. We rented in Lexington, and Guy grew up in Dedham but I grew up in Vermont. So that's when we moved here and the pond was essentially the same, you know, it hasnt really changed that much. Down next to the chateau there was a little house, right where that sign is, and that was ripped down. And on the road up next to the Chrystiniac's was a house that sort of clung to the side of the road; it looked like it was going to fall in. The people that lived they were named the Fairbanks. Then I think the rest of these houses were all here and they stayed, and then over on Dead Man's Curve, across from you, there were two or three houses that clung to the bank there that I remember, I think the foundations are still there. Then at the top of Pine Street, the house where Ted (?Laselles?) lives now, this is before your time but I grew up at the tail end of the dance bands and Von Monroe had a summer camp here and he was one of these dance band leaders and his place where he played is where Ken's Steak House is now, it was called the (?Meadows? ), back then if you had a high school prom, that was one of the places that you would go to dance to their dance to their slow music. Then down here was Jack Larkin's house, and he ran the Red Coach Grill, and was a very good neighbor although I was also a good neighbor to him because I took care of him in the hospital until he died, but he was back, this was the rum running days and this whole point here, I believe according to the people that lived here, were people that were involved with the rum-running and getting the liquor to Boston, and I know that Jack Larkin told me himself that he was somewhat involved. The person that owned your house, I think, was the Kingpin. Yes, in the early thirties. Was the Chateau part of the bootlegging? The Chateau was in business, and I don't know if you look through the Town Crier but there was a picture some years ago, the Chateau was in business since the turn of the century, so 1900, 1904, something like that, and back then, canoeing was everybody like to canoe and they rented canoes and there was a picture with the ladies with their dresses and men handing them into the canoe to go for a Sunday afternoon paddle long before I was born and actually when Guy was a baby so that had a to be a lot of years ago. And then in that newspaper there, there was a lot about the Mansion Inn. And that was a speakeasy. And the parties were wild. Did you ever go to any of those? So was that like a summer camp? Yes it was a summer camp and had a school bus that brought the kids home from Lexington, it was a summer day camp, and it took them home to Lexington every night. The counselors were fun, it was a fun time, I mean sometimes I would ride with them on the bus, and the mothers would come out with their nightgowns on and put the kids on the bus, it depended on how good-looking the counselors were that we had at the time. And this was the late fifties? Yes and right around the late 1950s into the early 1960s and then wed go on camping trips overnight to state parks. And some of those kids had never been out of Massachusetts, Guy loved to take kids on camping trips so we would go and really it was a fun time. Not a lot of sleep but a fun time. Then he started the Cochituate canoe club, probably right about then. All the kids on Dudley Pond come May or June would come to Dudley pond to go swimming. And every night Guy would give lessons for kayaking and paddling and parents came. And they kayaked and canoed. Was that right down at the waterfront? So was that one of the big social events when they'd all come to your house? Yes, the kids would come and never go home. And sometimes it seemed like there were too many people. Did you own a lot of canoes? Yea, we don't have so many now but there wasn't a boat Guy didn't like. We did have a birch bark canoe that got ruined in one of the hurricanes. He still has some damaged rowing shells down there under the porch. I think there's one canoe that's down there that is C-1 that my husband tried for the Olympics in. It was a wooden boat that you sort of balanced and paddled it. I'm pretty sure it's still down there. There is a man in Connecticut that thinks I should give it to a museum. The boat is an earlier version of what they use now in the Olympics, now they are all fiberglass and tipsy. This whole street, this whole point, when we moved here that first year I think I counted as many as 43 kids, just in this area. They'd all walk up to the Cochituate School, that's where the kids started school. But see all those kids have grown up and gone away. Now there are new people moving in with new little kids. The cycle is starting over again. Back in the 1950s there were a lot more children around? Yes. On Halloween there were around 50 to 100 kids. No one worried about strangers on the streets or anything like they do now. This area was wide open. When we were going through the Town Crier we came across articles describing Dudley Pond as a bad neighborhood in the 1940s. Did that continue into the 1950s? No. I think during the 1950s that it was more or less a family community. When we first lived here, there was a lot of the Cochituate against Wayland. There was a real spilt in the town. And the Chateau always had a few people around. But I lived here for 40 years before I set foot in the Chateau. I'd never been inside it. The Chateau was a pretty rough �honky tonk,� and I was to busy with kids. When my kids were growing up they could go anywhere, as long as they could fall in the water and save themselves. After this they had the run of the pond. My kids were outside all the time. I didn't watch them most of the time. I didn't really worry about them because I knew they were capable on the water. Now a day kids don't have as much freedom to go and sail. But as far as a bad neighborhood, I don't ever recall any problems. We were just a bunch of characters. My husband was probably the biggest one of them. He had a voice that everyone knew in Cochiuate. They were really good people. I think you'll read in the paper that in the 1920s the rumrunners populated this whole area. That's when it was not such a nice neighborhood. The people uptown didn't want to come down and associate with them. We came across newspaper clippings that referred to the pond as a slum. What do you think about this? They said that because they wanted the urban renewal. Do you know anything about urban renewal? Guy fought it. One newspaperman came and Guy took him down to the water front and went and drank the water. We wouldn't normally do that. But I mean with swimming you'd take it in and spit it out. But he did it just to be grandiose. The newspaperman was about upchucking himself. The water was not that polluted. There were weeds, but we've always had weeds. Were houses falling down into the pond and leaking septic systems? I do think there was some leaking into the pond. I do think that some houses were falling into the pond. And many houses were literally on the side of the pond. Especially Crystiniac's-- their house was right on the pond. What did they do about the houses that were in disrepair? That house got ripped down and it got condemned. There was a committee that decided what houses were unsafe. There were also some houses near the Chateau that were unsafe, and also on Dead Man's Curve. I think the town did knock them down and then burn them. At one point did the town try to tear down all the houses? That happened when they had the money to do the urban renewal. How did the pond fight that? Guy headed that up and all I can tell you is it was a long tough battle with quite a few people that wanted to improve their own places, like we did. We felt that our places were nice enough that they didn't need to be torn down. But back then they wanted to tear down everything right around the pond and put in lots with new houses. And I believe that this was the first action against urban renewal. Urban renewal was taking place all over the Unites States. A whole section of Boston got torn down for urban renewal. Some of the places needed to and some didn't. I think that the people here thought that they could get themselves a bunch of money and then make a lot of money by building new house. Actually it was a long fight, but the whole board ended up resigning. So Guy won it. But there had been threats on his life. No one knows where they came from. This was the type of fight that my husband liked. Is that when the Dudley Pond association started? That started after. I don't think that was related to urban renewal. Guy had nothing to do with that. He didn't like some of the people that were in it. So, I'm the only one that ever belonged. Guy was a little annoyed at me because I did join. That was to improve the pond. I think that it did a lot. A lot of the pollution of pond was from water running off the roads and not from the septic systems. So when they put in all the drains around the pond that improved the water considerably. Not all together, this is a mud pond, and it's not very deep. But over near the chateau its the deepest. That's where the kids used to go off the trees. But the deepest it is anywhere is around 15 feet. Were there any specific places around the pond that big social events took place? Well I think before the Mansion Inn burned down. There were a lot. But we didnt have many social events that I remember. There were some fishing derbies. Ted Williams even fished here. He owned a house across the pond. He didn't really tell to many people about Dudley Pond because the fishing was good and he wanted it for self. I can remember hanging clothes out and having kids fishing on the edge of the pond. One time a kid pulled out a huge fish, one that you'd have a picture in the paper of. Next thing I know here came the fathers with a couple of kids. The father asked him how he did. He said I got a couple little ones. Then he pulled out the huge fish. If I had a camera I would have loved to take a picture of the father's face. The fishing has always been really good, maybe not as good in recent years, but people are still out there fishing. Guy ran canoe races on the pond. That was in the 1960s. He also ran regattas. Mostly flat water canoeing. A lot of people came and watched that and I think it finished at Mansion Beach and he would do from the Chateau up was where he would run those races. And the Cochituate canoe club would have regattas and they had one that they ran here and one on lake Cochituate way back. Anything to run a race Guy liked. How did the population fluctuate between seasons? When we moved here people were just beginning to buy houses on the pond as a year round house. This house was built as a year round house. So was the one next door. A lot of the camps had been turned into year round homes. So across the street from us the Kirbys had a home in Brookline and they came out every summer. I'd say that when we first lived here around two thirds of the population was permanent and one third was seasonal. As the years went on more of the places became permanent. Even the Kirbys who were gone in the winter would usually rent out their houses to school teachers. Do you think that the winter carnival was the biggest social event? Yes. That was a big success for a number of years. That was a Dudley Pond innovation and people had so much fun at it. Then one year the ice was too thin and a little boy and his father were walking back. The little boy fell halfway in. The father got really mad and the carnival was shut down for insurance reasons. Was there lots of hockey games and ice fishing going on as well? There was a lot of ice fishing. Actually I think there was an ice-fishing derby during the winter carnival. Which was a Dudley Pond association idea that really should be continued if we could. Now we just have a few follow-up questions. How old were you when you first moved to the pond? I was 23 and Guy was 18 years older than me. >Can you tell us a little more about Guy? Guy was my husband and a coach. He was well known to many people in the town. He was a recreational director at the Haden School in Lexington. He also used to work in the Roxbury Boys' Club. That's why he had so many kids around all the time. He was one of those people who could play just about any sport he wanted to. Do you have any other fond memories of the pond? Well I just enjoy the water, the birds, the being here. And when I had the kids being able to go swimming was very nice. Being out here the people are a little nicer. When there is a snowstorm or something people all come together. The neighbors will band together, but that's true of other places too. I do think that the pond has been a healthy place to live. Just living on the water gave me a kind of peaceful feeling. Guy Newhall's canoe he used to time trials for the Olympics. Buildings in west end prior to urban renewal. * Campbell, Robert and Vanderwarker, Peter. "Cityscapes of Boston: An American City Through Time." Boston and New York: Houghton Mifflin Company, 1992. * Frieden, Bernard J. and Sagalyn, Lynne B. "How America Rebuilds Cities." Massachusetts Institute of Technology: Downtown, INC. , 1989. * Helen Fitch Emery. "The Puritan Village Evolves: a history of Wayland, Massachusetts"
* Praeger, Irene E. "Dudley Pond." Northeastern University, MA: December 5, 1988. * Wolfson, Evelyn and Hoyt, Richard. Wayland A-Z. Saline, MI: McNaughton and Gunn Inc., 2004.